With the midterm elections coming up shortly, it makes sense to share some of the potential resources to help educate students about this election as well as the electoral process in general. One of the best available is Kids Voting which has resources for teachers or parents to use with students at each level. The George Lucas Educational Foundation has supported the Edutopia site in developing activities for students to become engaged in learning about the election. 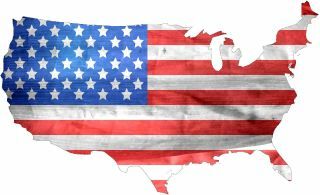 iCivics has a recent blog providing a range of prompts to use with students to help them understand the election process. NAMLE’s Every Teachers Guide for the 2018 Elections is a wonderful resource for those using debate and speech as teaching tools. FiveThirtyEight is a political polling website which has a wealth of poll related information on the upcoming midterms. I Agree to See is a site that hosts a compilation of political ads from around the nation. ISTE put out a list of excellent political fact checking sites last February. FactCheck.org is an exemplar among the fact checking sites.